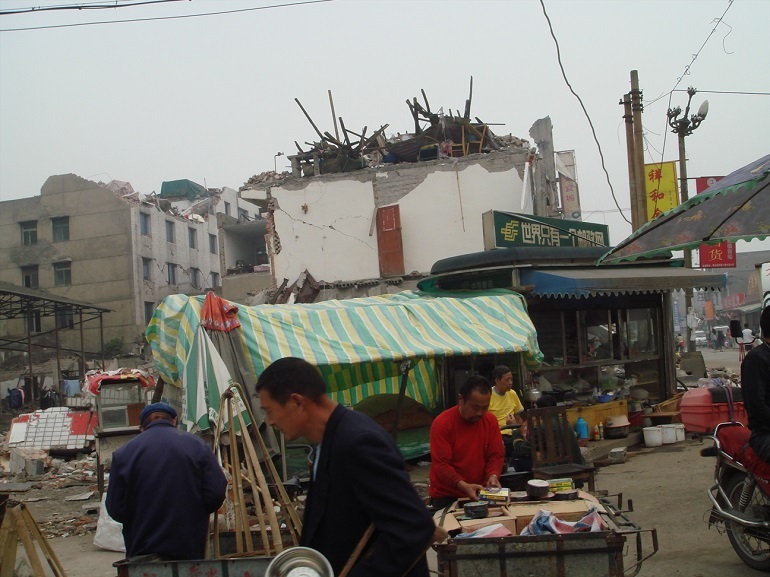 A church in Chengdu, the capital of China’s southwestern Sichuan province, was raided by police on Saturday (12 May) as it prepared to commemorate the 10th anniversary of an earthquake that killed almost 90,000 people and left millions homeless. Pastor Wang Yi of Early Rain Covenant Church was arrested alongside 200 church members, after the authorities warned him that the church did not have the permit necessary to hold such an event, reported World Magazine. Wang and another church leader ignored the warning, but when church members arrived for the service the next morning, they found police waiting for them, blocking the entrance. Elderly people and children were among those arrested, while over 15,000 Christian books, including Bibles, as well as almost 1,000 CDs, were confiscated. Wang and the members of his congregation were released later that evening. The pastor has been vocal about the new religious regulations that came into force on 1 February. In a critique of the regulations, published by China Source, the pastor said he considered the regulations a violation of religious freedom and called on Christians in China to resist them. A local source, who wished to remain anonymous, told World Watch Monitor the government is increasing pressure on churches across China. “It seems that local authorities are pressurised to enforce the religious regulations to a certain extent, to at least take some action,” said the source. “There is reason to believe the CCP [China’s Communist Party] Central Committee is trying to suppress rapid growth among religions,” Professor Ying Fuk-tsang, director of the Divinity School at the Chinese University of Hong Kong, told the Catholic news agency UCAN last week. Ying said the current pressure on Christians and other religious minorities in China, such as the recent closure of churches and kindergartens in Henan province, and children being stopped from attending church services, is rooted in policies that were initially formulated in 2015. Under the presidency of Xi Jinping, China’s Communist Party has increased control over religious affairs, and the ‘Sinicisation’ of religion (making religion “more Chinese”) has long been a core message. It means that “every religion and every ethnic group has to be dominated and ‘Sinicised’, their specificity eliminated”, wrote Gerry Groot, a senior lecturer in Chinese Studies and Head of the Department of Asian Studies at the University of Adelaide, South Australia. “This is the same policy Mao Zedong pursued in the 1950s and later decades, a strategy that led to the stagnation of innovation and China’s economic crisis,” he said. Although Groot said the China of today is different than it was 50 years ago, he said “Xi is either unaware of this history, or perhaps believes that technologies like AI can help contain any negative consequences”, adding that it “would probably be safer to bet that, like Mao, Xi too has begun to overreach”.